In April 1943, the German leadership began preparing for Operation Citadel, with the objective of enveloping and destroying the Soviet forces in the Kursk salient, by attacking and breaking through the base of the salient from north and south simultaneously. The German offensive was delayed several times due to the vacillation of the leadership and the addition of more forces and new equipment. The Soviet high command, Stavka, had learned of the German intentions, and therefore used the delay to prepare a series of defensive belts along the routes of the planned German offensive. The Soviet leadership also massed several armies deep behind their defences as the Stavka Reserve. This army group, the Steppe Front, was to launch counteroffensives once the German strength had dissipated. The 5th Guards Tank Army was the primary armoured formation of the Steppe Front. On 5 July 1943 the Wehrmacht launched its offensive. On the northern side of the salient, the German forces bogged down within four days. On the southern side, the German 4th Panzer Army, with Army Detachment Kempf on its eastern flank, attacked the Soviet defences of the Voronezh Front. They made slow but steady progress through the Soviet defensive lines. After a week of fighting, the Soviets launched their counteroffensives – Operation Kutuzov on the northern side and a coinciding one on the southern side. On the southern side of the salient near Prokhorovka, the 5th Guards Tank Army engaged the II SS-Panzer Corps of the 4th Panzer Army, resulting in a large clash of armour. The 5th Guards Tank Army suffered significant losses in the attack, but succeeded in preventing the Wehrmacht from capturing Prokhorovka and breaking through the third defensive belt – the last heavily fortified one. The German high command, unable to accomplish its objective, cancelled Operation Citadel and began redeploying its forces to deal with new pressing developments elsewhere. The Red Army went on a general offensive, conducting Operation Polkovodets Rumyantsev on the southern side and continuing Operation Kutuzov on the northern side. 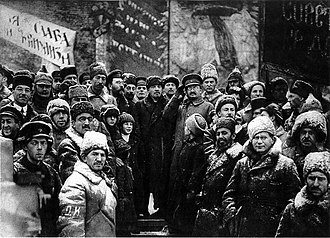 The Soviet Union thus seized the strategic initiative on the Eastern Front, which it was to hold for the rest of the war. Map showing the German plan for Operation Citadel (blue arrows) to cut off the Kursk salient into a pocket, and the deployment of Soviet and German forces ahead of the operation. The blobs of red dashed lines show the position of Soviet reserves upon their arrival. The map shows the starting position of the II SS Panzer Corps ("2 SS-PzK"), the initial redeployment positions of the 5th Guards Tank Army ("5. GpzA") and the 5th Guards Army ("5. GA"). Prokhorovka (not shown) is 40 kilometres (25 mi) northeast of Pokrovka ("Pokrowka"). After the conclusion of the battle for the Donets, as the spring rasputitsa (mud) season came to an end in 1943, both the German and Soviet commands considered their plans for future operations. The Soviet premier Joseph Stalin and some senior Soviet officers wanted to seize the initiative first and attack the German forces inside the Soviet Union, but they were convinced by a number of key commanders, including the Deputy Supreme Commander Georgy Zhukov, to assume a defensive posture instead. This would allow the German side to weaken themselves in attacking prepared positions, after which the Soviet forces would be able to respond with a counter-offensive. 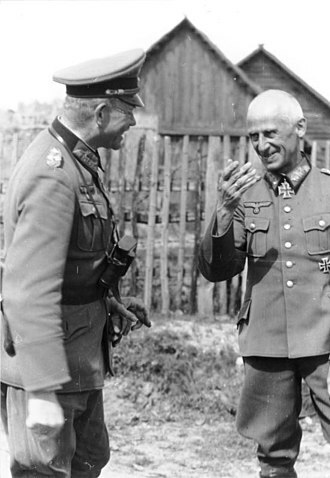 Strategic discussions also occurred on the German side, with Field Marshal Erich von Manstein arguing for a mobile defence that would give up terrain and allow the Soviet units to advance, while the German forces launched a series of sharp counterattacks against their flanks to inflict heavy attrition. But for political reasons, German Chancellor Adolf Hitler insisted that the German forces go on the offensive, choosing the Kursk salient for the attack. 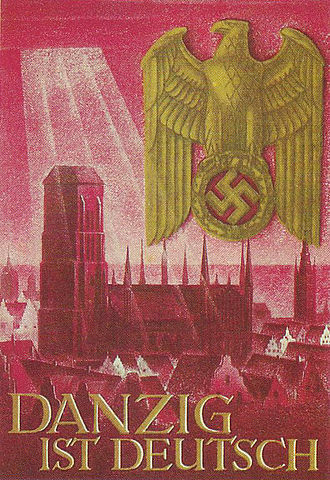 On 15 April 1943 he authorised preparations for Unternehmen Zitadelle (Operation Citadel). The German offensive plan envisioned an assault at the base of the Kursk salient from both the north and south, with the intent of enveloping and destroying the Soviet forces in the salient. The two spearheads were to meet near Kursk. From the south, the XLVIII Panzer Corps and General Paul Hausser's II SS-Panzer Corps, forming the left and right wings of the 4th Panzer Army commanded by Colonel General Hermann Hoth, would drive northward. The III Panzer Corps of Army Detachment Kempf was to protect Hoth's right flank. The 4th Panzer Army and Army Detachment Kempf were under Army Group South, commanded by Manstein. Air support over the southern portion of the offensive was provided by Colonel General Otto Deßloch's Luftflotte 4 and its major air formation, the 8th Air Corps. The German offensive, originally slated to commence in the beginning of May, was postponed several times as the German leadership reconsidered and vacillated over its prospects, as well as to bring forward more units and equipment. The Soviet leadership, through their intelligence agencies and foreign sources, learned about the German intentions, and therefore the multiple delays by the German high command, OKW, allowed them a great deal of time to prepare their defences. Employing defence in depth, they constructed a series of defensive lines to wear down the attacking panzer formations. Three belts made up of extensive minefields, anti-tank ditches, and anti-tank gun emplacements were created; behind those were an additional three belts, which were mostly unoccupied and less fortified. The Voronezh Front, commanded by General Nikolai Vatutin, defended the southern face of the salient. The Steppe Front, commanded by Colonel General Ivan Konev, formed the strategic reserve. It was to be held back east of the salient until the time was right for the Soviet counteroffensive. This formation included Lieutenant General Alexei Zhadov's 5th Guards Army and Lieutenant General Pavel Rotmistrov's 5th Guards Tank Army. The Wehrmacht launched its attack on the morning of 5 July 1943 and met heavy resistance. 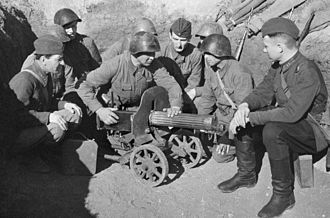 There were far more Soviet anti-tank guns, minefields, anti-tank ditches and overall Soviet resistance than had been anticipated, making a breakthrough more difficult to achieve. Furthermore, from the outset they were subjected to frequent counterattacks from Soviet tank units. Despite this, by the end of 5 July the II SS-Panzer Corps had advanced through the first defensive belt on the southern side of the salient and reached the second, although the plan was to breach the first two belts and reach the third on the first day. Nonetheless, the panzer corps' penetration caused great concern among Soviet commanders, compelling Vatutin to commit almost all of Voronezh Front's operational reserves by the end of the first day. The III Panzer Corps met with stiff resistance as well and had great difficulty creating and maintaining a bridgehead across the Northern Donets River. They eventually succeeded by the morning of 6 July, but the delay in their advance kept them from protecting the east flank of the II SS-Panzer Corps. Late on 6 July, the 5th Guards Tank and the 5th Guards Armies of the Steppe Front began moving up from their reserve position. The 5th Guards Tank Army covered the 320–390 kilometres (200–240 mi) over three days, and arrived at the Prokhorovka area on the night of 9 July, and the 5th Guards Army's 33rd Guards Rifle Corps arrived at the settlement on the night of 10 July. Both armies completed their journey and deployment intact without any substantial interference from the Luftwaffe. Slow progress by the XLVIII Panzer Corps caused Hoth to shift elements of the II SS-Panzer Corps on 8 July to aid the XLVIII Corps' drive toward Oboyan and Kursk. On the same day, the Soviet units counterattacked the II SS-Panzer Corps with several tank corps. These attacks did not destroy the panzer corps as hoped, but slowed its progress. By the end of 8 July, the II SS-Panzer Corps had advanced about 29 kilometres (18 mi) and broken through the first and second defensive belts. On the following day, 9 July, a meeting of the commanders of the German forces on the northern side of the Kursk salient concluded that a breakthrough on the northern side of the salient was unlikely. Nevertheless, they decided to continue their offensive to maintain pressure and inflict casualties, thereby tying down the Soviet forces there. Any level of success for Operation Citadel now depended on a breakthrough being achieved by 4th Panzer Army and Army Detachment Kempf on the southern side of the Kursk salient. On the evening of 9 July, the II SS-Panzer Corps was ordered to shift its own forward progress, from due north to the northeast, toward the settlement of Prokhorovka. Hoth had formulated this move, and had discussed it with Manstein since early May, as he expected large Soviet armoured reserve forces to arrive from the east, and he did not want his corps to be caught crossing the Psel River when they arrived. [k] The plan originally envisioned elements of XLVIII Panzer Corps and III Panzer Corps joining in the attack toward Prokhorovka, but this could not be realised. The Soviet command, however, interpreted the change in direction to be a response to the heavy resistance the German forces had faced driving toward Oboyan, and incorrectly believed the change indicated the German panzer forces had been severely weakened. Soviet intelligence reports issued from 8 to 9 July reported that defensive works were being constructed by German infantry on the flanks of the 4th Panzer Army, and that German armoured formations were not present in these locations, despite the fact that Soviet armoured formations were situated opposite these flanks. Voronezh Front headquarters supposed the Germans must be reaching their limit, and on 10 July decided to set its counterattack to coincide with the planned Soviet counteroffensive on the northern side of the Kursk salient, Operation Kutuzov, which was set for 12 July. Starting on the morning of 10 July, the II SS-Panzer Corps began its attack toward Prokhorovka. Its 3rd SS-Panzergrenadier Division Totenkopf attacked across the Psel River and secured a bridgehead. The 1st SS-Panzergrenadier Division Leibstandarte SS Adolf Hitler captured Komsomolets State Farm and Hill 241.6. The 2nd SS-Panzergrenadier Division Das Reich defended the panzer corps' flank from Soviet armoured counterattacks. The II SS-Panzer Corps continued its attack toward Prokhorovka on 11 July. The advance of Leibstandarte was checked by the 2nd Tank Corps, which had been reinforced by the 9th Guards Airborne Division and 301st Anti-tank Artillery Regiment, both from the 33rd Guards Rifle Corps. Totenkopf was resisted by the 31st Tank Corps, the 33rd Guards Rifle Corps' 95th Guards Rifle Division, and the 11th Motorized Rifle Brigade of the 10th Tank Corps. To the south of Leibstandarte, the 2nd Guards Tank Corps and the 48th Rifle Corps' 183rd Rifle Division opposed the advance of Das Reich. 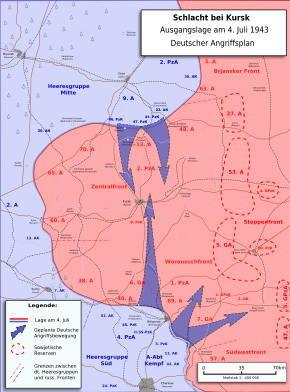 By day's end on 11 July Leibstandarte had advanced deep into the Soviet third defensive belt. They had moved up the Psel corridor, cleared Soviet resistance at the Oktyabrsky ("October") State Farm (Russian: Совхоз Октябрьский), crossed a 15-foot (4.6 m)-deep anti-tank ditch at the base of Hill 252.2 and seized the hill itself after a brief but bloody battle, leaving them only 3 kilometres (1.9 mi) south of Prokhorovka. To its northwest, the panzergrenadiers of Totenkopf had achieved a bridgehead across the Psel and tanks had been brought across, but they had yet to take Hill 226.6 and there was a 5-kilometre (3.1 mi) gap between Totenkopf and Leibstandarte. To the south of Leibstandarte, Das Reich had also met stiff resistance and lagged behind some 4 kilometres (2.5 mi). With its advance, Leibstandarte‍ was exposed on both of its flanks. Late on 11 July the 5th Guards Tank Army prepared for its forthcoming counterattack. Leibstandarte's advance had disrupted Rotmistrov's preparations, as the assembly areas he intended to use for the tank army's 18th and 29th Tank Corps were in German hands by the end of the day, forcing him to hastily revise his plans and select new positions. The arrival of the 5th Guards Tank Army just days earlier was detrimental to it in two major ways: the tank unit commanders did not have an opportunity to reconnoitre the terrain they would be travelling across, and the supporting artillery was unable to site and spot their fire. Soviet and German deployments near Prokhorovka on the eve of the engagement of 12 July. The blue dashed line shows the frontline positions of the divisions of the II SS-Panzer Corps in the evening of 11 July, and the red dashed line shows the position of Soviet forces directly opposing the II SS-Panzer Corps. The black dashed line shows the railway running from Prokhorovka southwest through the Psel corridor (the strip of land between the Psel River and a tributary of the Northern Donets River). Late on the evening of 11 July, Hausser, the commander of the II SS-Panzer Corps, issued orders for the next day's advance on Prokhorovka. It was known that the Red Army had dug in many anti-tank guns on the southwest slopes of Prokhorovka, making a direct attack by Leibstandarte very difficult. The plan was for Totenkopf to capture Hill 226.6, and advance northeast along the Psel River to the Kartashёvka-Prokhorovka road, and then strike southeast into the flank and rear of Soviet forces at Prokhorovka. Leibstandarte was ordered to make a limited advance and secure Storozhevoe and Lamki just outside Prokhorovka, then it and Das Reich were to wait until Totenkopf's attack had disrupted the Soviet positions, after which Leibstandarte was to attack the main Soviet defences on the southwest slope of Prokhorovka. To Leibstandarte's right, elements of Das Reich were also to advance eastward to the high ground south of Prokhorovka, then turn south away from Prokhorovka to roll up the Soviet defences opposing the III Panzer Corps' advance and force a gap. The 8th Air Corps was to concentrate its effort to supporting the advance of the II SS-Panzer Corps, with the XLVIII Panzer Corps to the west assigned limited air resources. The 5th Guards Army and 5th Guards Tank Army of the Steppe Front had been brought up from reserve and reassigned to the Voronezh Front on 8 and 11 July respectively. On 11 July, Vatutin ordered the armies of the Voronezh Front to go over to the offensive on the following day. This Soviet counterattack on the southern side of the Kursk salient was planned to coincide with the offensive against Orel on the northern side, Operation Kutuzov. Vatutin ordered Rotmistrov to destroy the German forces near Prokhorovka with his 5th Guards Tank Army, without allowing the German forces to withdraw southward. For the battle, Rotmistrov ordered his tanks to move forward at high speed to engage the German armour in order to nullify the advantages the Tiger tanks had in the range and firepower of their 88 mm guns. He believed the more manoeuvrable T-34 medium tanks would be able to quickly close in and obtain effective flanking shots against the German heavy tanks. In fact, Soviet intelligence had greatly overestimated the numbers of Ferdinands and Tigers possessed by the II SS-Panzer Corps. 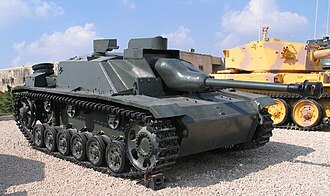 [l] In actuality there were no Ferdinands with the 4th Panzer Army or Army Group South, as they were all deployed on the northern side of the Kursk salient with the 9th Army. 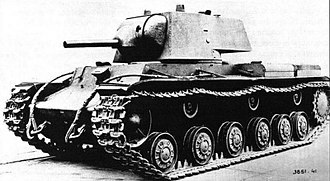 Soviet tank-crews frequently mistook the versions of Panzer IV tanks that were armed with the KwK 40 anti-tank gun, which also had extra armour added to their turret, for Tigers; therefore Soviet reports tended to overestimate the number of Tigers employed by the German side during the Battle of Kursk. Soviet air support in the southern part of the salient was provided by the 2nd Air Army and the 17th Air Army, commanded by Lieutenant General Stepan Krasovsky and Lieutenant General Vladimir Sudets, respectively. However, the bulk of the air support was committed in support of Soviet units attacking XLVIII Panzer Corps to the west of Prokhorovka and the III Panzer Corps to the southeast, and only limited numbers of aircraft were available to support 5th Guards Tank Army's attack. Rotmistrov's plans for a counterattack were threatened by events to the south. The III Panzer Corps managed to cross the Northern Donets at Rzhavets on the night of 11 July, and was about 18 kilometres (11 mi) southeast of Prokhorovka, and advancing northwards. This threat jeopardised Rotmistrov's entire plan by threatening the flank and rear of the 5th Guards Tank Army. Early on 12 July, Vatutin ordered Rotmistrov to send reinforcements to the Soviet 7th Guards and 69th Armies facing the III Panzer Corps. He organised a task force under the command of his deputy, Major General Kuzma Trufanov, which consisted of the 26th Guards Tank Brigade from the 2nd Guards Tank Corps, the 11th and 12th Guards Mechanized Brigades from the 5th Guards Mechanized Corps, and the 53rd Guards Tank Regiment of the 5th Guards Tank Army. Other units of the Voronezh Front also joined the group on its way south. In doing so, Rotmistrov committed over half of his army's reserves before the Battle of Prokhorovka had begun. The German forces involved in the Battle of Prokhorovka were from the three Waffen-SS divisions of the II SS-Panzer Corps: Leibstandarte, Das Reich, and Totenkopf. On the evening of 11 July, the serviceable armour strength of the II SS-Panzer Corps was 294 tanks and assault guns, which included 15 Tigers. The armoured strength of Leibstandarte, Das Reich, and Totenkopf were 77, 95, and 122 tanks and assault guns respectively. Ten of the Tigers were to the north of the Psel River with Totenkopf, four were with Leibstandarte, and Das Reich had just one. Leibstandarte had advanced the most deeply toward Prokhorovka and was situated in the centre of the German position. A railway line, with a 30-feet high railbed, divided Leibstandarte's area into north and south. The bulk of the division was positioned to the north of the rail line, including the division's 1st SS-Panzer Regiment and 2nd SS-Panzergrenadier Regiment, as well as its reconnaissance, artillery and command units. To the south of the rail line was Leibstandarte's 1st SS-Panzergrenadier Regiment, along with the division's 1st SS-Panzerjäger Battalion. Das Reich was positioned to the south of Leibstandarte, and it protected the southern flank of the II SS-Panzer Corps. Totenkopf was positioned to the northwest of Leibstandarte. Totenkopf's 3rd SS-Panzer Regiment had largely crossed over the Psel in preparation for the assault. Leibstandarte placed its lightly armed 1st SS-Panzer Reconnaissance Battalion in the 5-kilometre (3.1 mi) gap between it and Totenkopf to provide some flank protection. The unit was, later on 12 July, buttressed by the division's four remaining Tigers, commanded by SS-Untersturmführer Michael Wittmann. The main Soviet armoured formation involved in the battle was the 5th Guards Tank Army, which controlled five corps, two of which were Guards units, by 12 July: the 2nd Guards, 2nd, 5th Guards Mechanized, 18th and 29th Tank Corps. Altogether they fielded 793 tanks and 37 to 57 self-propelled guns for a total of approximately 840 armoured fighting vehicles. About two-thirds of these tanks were T-34s, while the remainder were T-70 light tanks, with some 31 to 35 Churchill heavy tanks as well. Not all of the 5th Guards Tank Army was present in the Prokhorovka area during the battle, as part of the formation had been sent south to check the advance of the III Panzer Corps. The Soviet armour of the 5th Guards Tank Army – including the newly attached 2nd Guards Tank Corps[c] and 2nd Tank Corps,[d] as well as the 5th Guards Mechanized Corps[e] held in reserve – that faced the II SS-Panzer Corps on 12 July was about 616 tanks and self-propelled guns. In addition, five artillery regiments, one artillery brigade, and one anti-aircraft artillery division were attached to the 5th Guards Tank Army for the assault. The main attack of the 5th Guards Tank Army was conducted against Leibstandarte by its fresh 29th and 18th Tank Corps that had been brought up from the Soviet strategic reserve. These two Soviet tank corps together provided the greatest number of tanks in the attack, with the 18th Tank Corps fielding 190 tanks and self-propelled guns, and the 29th Tank Corps fielding 212 tanks and self-propelled guns. Infantry support to the 18th and 29th Tank Corps was provided by the 9th Guards Airborne Division. A portion of the 18th Tank Corps was directed against the eastern flank of Totenkopf's 6th SS-Panzergrenadier Regiment Theodor Eicke. On the southeastern wing of the 5th Guards Tank Army, Rotmistrov deployed the 120 tanks of the 2nd Guards Tank Corps. Later on 12 July during the battle, the 26th Guards Tank Brigade of that tank corps with its estimated 40 tanks were sent south to face the III Panzer Corps. The remainder of the 2nd Guards Tank Corps, supported by the remnants of the 2nd Tank Corps, was to attack Das Reich. Their infantry support was provided by the 183rd Rifle Division. The western flank of the 5th Guards Tank Army, which faced Totenkopf, was defended by the 33rd Guards Rifle Corps' 42nd and 95th Guards Rifle Divisions, which were supported by the remnants of the 31st Tank Corps and the heavily depleted 23rd Guards Rifle Corps' 52nd Guards Rifle Division. The forces of the 5th Guards Mechanized Corps that were not sent south were held as reserve northwest of Prokhorovka, and they numbered about 113 tanks and self-propelled guns. Vatutin directed Soviet air assets to commit their main effort toward checking the III Panzer Corps' drive northward, and in supporting the attack against the XLVIII Panzer Corps. Missions were flown in support of the attack of the 5th Guards Tank Army as well, but to a limited extent. The 2nd Air Army had some 472 aircraft operational on 12 July, while the 17th Air Army had 300 operational aircraft. At 05:45 on 12 July, Leibstandarte's headquarters started receiving reports of the sound of many tank engines as the Soviet tanks moved into their assembly areas for the attack. At around 06:50, elements of Leibstandarte's 1st SS-Panzergrenadier Regiment nudged forward and drove the Soviet infantry out of Storozhevoe, while elements of the division's 2nd SS-Panzergrenadier Regiment fanned out from the Oktyabrsky State Farm. The Soviet forces began a preparatory artillery barrage at around 08:00, and as the last shells fell at 08:30, Rotmistrov radioed the code words "Stal! Stal! Stal!" ("Steel, Steel, Steel!") – the order to commence the attack. With that the Soviet armour of the 5th Guards Tank Army began their advance. In total, about 500 tanks and self-propelled guns of the 5th Guards Tank Army attacked the positions of the II SS-Panzer Corps on 12 July, doing so in two waves, with 430 tanks in the first echelon and 70 more in the second. Down from the slopes in front of Prokhorovka, the massed Soviet armour charged with five tank brigades of the 18th and 29th Tank Corps, firing as they came at Leibstandarte's positions. As the Soviet tanks rolled down the slopes, they carried the men of the 9th Guards Airborne Division on their hulls. The troops of Leibstandarte were not slated to go into action until later in the day. Exhausted from the previous week's fighting, many were just starting their day at the outset of the attack. As the Soviet armour appeared, German outposts all across the corps' frontage began firing purple warning flares signalling a tank attack. Obersturmbannführer Rudolf von Ribbentrop, commander of a panzer company under the 1st SS-Panzer Regiment, stated that he knew at once a major attack was underway. He ordered his company of seven Panzer IVs to follow him over a bridge across an anti-tank ditch. Crossing the bridge they fanned out on the lower slope of Hill 252.2. On the crest of the hill, Sturmbannführer Joachim Peiper's 3rd Panzergrenadier Battalion of the 2nd SS-Panzergrenadier Regiment were being overrun. As Ribbentrop's tanks spread out, he and the 1st SS-Panzer Regiment were suddenly confronted by Soviet tanks of the 29th Tank Corps' 31st and 32nd Tank Brigades: "About 150–200 meters in front of me appeared fifteen, then thirty, then forty tanks. Finally there were too many of them to count." The Soviet armour, firing on the move, charged down the western slopes of Hill 252.2 into the panzer company, and a tank battle ensued. 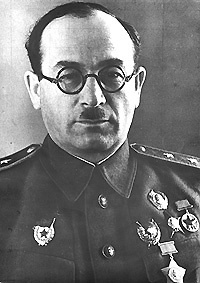 Rotmistrov's tactic to close at high speed disrupted the control and co-ordination of the Soviet tank formations and also greatly reduced their accuracy. In a three-hour battle, the 1st SS-Panzer Regiment engaged the attacking Soviet tanks and repulsed them, reporting that they destroyed about 62 Soviet tanks. Later that afternoon, tanks from the 31st Tank Brigade and the 53rd Motorized Brigade overran elements of the 1st SS-Panzer Reconnaissance Battalion and reached Komsomolets State Farm, threatening Leibstandarte's lines of communication and the division's command post located at Hill 241.6. The Soviet tanks attacked the division's 1st SS-Panzer Artillery Regiment, killing some of the crews before they themselves were destroyed by direct fire from anti-tank teams. Wittmann's group of four Tigers provided support to the reconnaissance battalion in its effort to protect Leibstandarte's left flank, and faced off with the 18th Tank Corps' advancing 181st Tank Brigade. In a three-hour battle the Tigers engaged the Soviet tanks at ranges from 1,000 metres down to point-blank, inflicting heavy losses on the Soviet tankers and successfully repelling their attack. None of the Tigers were lost. Later, elements of the 170th Tank Brigade engaged the 1st SS-Panzer Regiment, which was already fighting the 31st and 32nd Tank Brigades. Despite losing its commander and about 30 tanks in the fight, by early afternoon the 170th Tank Brigade had forced the 1st SS-Panzer Regiment back to the Oktyabrsky State Farm and reached the position of the 1st SS-Panzer Reconnaissance Battalion. At around 18:00, the 170th and 181st Tank Brigades penetrated the German line connecting Totenkopf and Leibstandarte. Assault guns and panzers supporting Totenkopf's 6th SS-Panzergrenadier Regiment Theodor Eicke repelled the Soviet attack and re-established the line, forcing the Soviet tanks to withdraw to the village of Andreevka. The advance of Soviet armour down Hill 252.2 was disrupted when they reached the anti-tank ditch at the base of the hill. A number of tanks crashed into the 15-foot deep ditch while others moved along the edge looking for a way to cross. Heavy fire was exchanged between the Soviet tanks and two companies of a panzergrenadier battalion on the opposite side of the ditch. Peiper's surviving panzergrenadiers engaged the Soviet infantry and attacked the Soviet tanks with Hafthohlladung magnetic anti-tank grenades. Twenty of his battalion's half-tracks were lost in the fighting, some destroyed in ramming the much heavier Soviet tanks in an effort to stop them. Eventually, due to heavy Soviet pressure and dangerously exposed flanks, Leibstandarte withdrew from the Oktyabrsky State Farm and established firmer defensive lines 1 kilometre (0.62 mi) to the south. The 2nd and 17th Air Armies flew 893 sorties compared to the German 8th Air Corps's 654 sorties over the southern part of the salient. Of note, most of the Soviet sorties flown that day were flown against the XLVIII Panzer Corps to the west and the III Panzer Corps to the south. Low clouds in the morning and thunderstorms in the afternoon inhibited air operations over Prokhorovka for both sides. Over the Prokhorovka battlefield the Luftwaffe gained control of the air. Formations of Stukas, including a small number of the G-2 variants, experimentally equipped with twin 3.7-centimetre (1.5 in) Bordkanone BK 3,7 cannon in gun pods, that were commanded by Staffelkapitän Hans-Ulrich Rudel, attacked the Soviet formations. They were joined by Fw 190 single engine fighter-bombers and Hs 129 twin-engined ground-attack aircraft, both equipped with 3-centimetre (1.2 in) anti-tank cannon. The 31st Tank Brigade reported: "We suffered heavy losses in tanks through enemy artillery and aircraft. At 10:30 our tanks reached the Komsomolets State Farm, but due to continuous air attacks, they were unable to advance any further and shifted to the defence." The tank brigade also reported: "our own air cover was fully absent until 13:00." 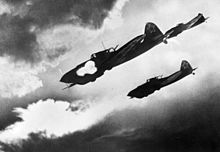 The 5th Guards Tank Army reported: "the enemy's aircraft literally hung above our combat formations throughout the entire battle, while our own aircraft, and particularly the fighter aviation, was totally insufficient." By the end of the day, Leibstandarte still held Hill 252.2, but had been exhausted by the effort of turning back five Soviet tank brigades. To its left, Totenkopf had succeeded in capturing Hill 226.6 and had advanced along the northern bank of the Psel River to reach the Karteschevka–Prokhorovka road, 8 kilometres (5.0 mi) northwest of Prokhorovka in accordance with plan. It was in position to outflank the Soviet forces at Prokhorovka, but was under pressure from Soviet attacks and its hold on the forward ground was tenuous. Forced onto the defensive by the attacks of the 2nd Guards and 2nd Tank Corps, Das Reich was unable to conduct its planned offensive manoeuvres. On the Soviet side, all the tank units under Rotmistrov's 5th Guards Tank Army involved in the battle on 12 July suffered heavy losses. Rotmistrov later wrote that the 29th Tank Corps lost 60 percent of its armour and the 18th Tank Corps lost 30 percent on 12 July. A Soviet General Staff report recorded: "Thus on 12 July, the 5th Guards Tank Army failed to accomplish its assigned mission. As a result of the frontal attack, the army's corps fought heavy battles against large enemy tank forces during which they were forced to assume defence." Rotmistrov was forced to shift the 18th and 29th Tank Corps over to defence and reinforce them with infantry. 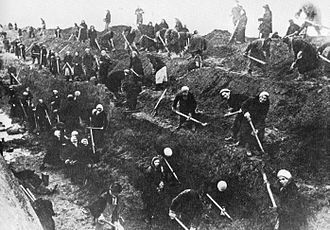 They dug more trenches, dug in some of their tanks, laid new minefields, prepared anti-tank strong points and massed their artillery. The 10th Guards Mechanized and 24th Guards Tank Brigades of the 5th Guards Mechanized Corps made preparations to push Totenkopf back the next morning. Stalin was very disappointed and infuriated by the early reports of heavy Soviet losses in the battle, and on the evening of 12 July he scolded Rotmistrov via a phone call. He considered sacking Rotmistrov and having him court-martialed, but ended up not doing so. The same evening, he dispatched Zhukov, who had been overseeing Operation Kutuzov, to Vatutin's headquarters as Stavka representative, in order to assume control of coordinating the operations of the Voronezh and Steppe Fronts. On the night of 12 July, Vatutin ordered Soviet forces to prevent any further German advance on Prokhorovka, destroy German forces that had advanced along the northern bank of the Psel River, and stop the III Panzer Corps from making further progress. Orders issued by the German command for 13 July instructed Totenkopf to consolidate its gains of the previous day and then attack into the flank and rear of the Soviet forces around Prokhorovka. Leibstandarte was to strengthen its front line and co-ordinate its attack on Prokhorovka from the south with Totenkopf's attack from the northwest. Das Reich was to consolidate and strengthen its front line and prepare for an offensive operation to link up with the III Panzer Corps. On the morning of 13 July, the 10th Guards Mechanized and 24th Guards Tank Brigades, in cooperation with the 95th and 52nd Guards Rifle Corps, launched attacks against Totenkopf. These Soviet attacks preoccupied Totenkopf and prevented it from attacking toward Prokhorovka. Around noon, Leibstandarte's 1st SS-Panzer Reconnaissance Battalion was ordered to attack northward toward the Psel River to consolidate its front line with Totenkopf, while the division's panzer units were to attack toward Soviet positions northeast of the Oktyabrsky State Farm toward Prokhorovka. The 1st SS-Panzer Reconnaissance Battalion attacked the defensive positions held by the 42nd Guards Rifle Division and the remaining armour of the 18th Tank Corps, while the panzer units attacked the defences of 9th Guards Airborne Division and the 29th Tank Corps. These German attacks were repelled by concentrated anti-tank artillery fire. The 29th Tank Corps responded with a counterattack and penetrated German lines, reaching Komsomolets State Farm before being beaten back by direct fire from German artillery. That afternoon, Totenkopf was ordered to abandon their positions northwest of Prokhorovka and return to tenable positions around Hill 226.6. Soviet attempts to sever the narrow salient were unsuccessful, and Totenkopf completed its withdrawal by nightfall. On 13 July Hitler summoned Manstein and the commander of Army Group Center – Field Marshal Günther von Kluge – to his headquarters, the Wolfsschanze in East Prussia. The Allied invasion of Sicily on the night of 9–10 July, combined with the Soviet counteroffensive of Operation Kutuzov against the flank and rear of General Walter Model's 9th Army on the northern side of the Kursk salient on 12 July, and the attacks by strong Soviet forces at Prokhorovka the same day had caused Hitler to stop the offensive and begin redeploying forces to the Mediterranean theatre. He ordered his generals to terminate Operation Citadel. Kluge welcomed the decision, as he was already in the process of withdrawing units of the 9th Army from the northern side of the Kursk salient to deal with Soviet attacks on his flank. But Manstein was greatly disappointed. He argued that his forces were now on the verge of achieving a major breakthrough on the southern side of the salient. As he saw it, with his III Panzer Corps about to link up with the II SS-Panzer Corps at Prokhorovka, and with the XXIV Panzer Corps available as his operational reserve, they would be halting the offensive just at the moment when victory was in hand. With an eye toward the west, Hitler was unwilling to continue the offensive. Manstein persisted, proposing that his forces should at least destroy the Soviet reserves in the southern Kursk salient before Citadel was finally terminated, so that the Soviet fighting capacity in the sector would be depleted for the rest of the summer. Hitler agreed to continue offensive operations in the southern salient until Manstein's goal was achieved. 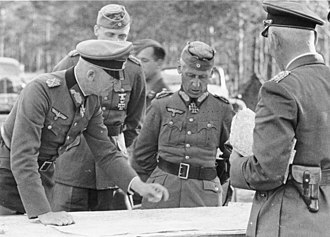 After the meeting with Hitler on 13 July, Manstein hastily put together the plans for Operation Roland, realizing that he only had a few days to conduct the operation before he lost the II SS-Panzer Corps due to redeployment. The plan called for Das Reich to attack east and south and link up with III Panzer Corps, which would attack to the northwest. Totenkopf and Leibstandarte were to anchor the western and northern flanks of Das Reich, respectively. Once the link was achieved and the Soviet forces encircled, Prokhorovka would then be attacked shortly thereafter by the combined forces of the II SS-Panzer Corps and III Panzer Corps. The goal of the operation was to destroy the Soviet armoured reserves massed in the southern sector of the Kursk salient, and thereby check Soviet offensive capacity for the rest of the summer. The orders for Operation Roland were issued in the closing hours of 13 July 1943. 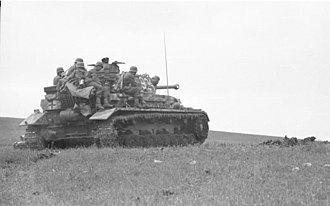 But after meeting with Manstein, Hitler countermanded the XXIV Panzer Corps' deployment to the Kursk salient, sending them on 14 July to support the 1st Panzer Army to the south. 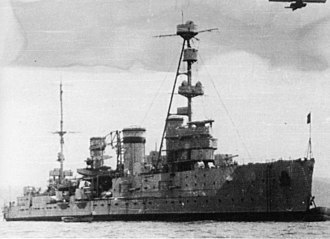 The assault began at 04:00 on 14 July. Following a brief artillery barrage, the 4th SS-Panzergrenadier Regiment Der Führer of Das Reich struck out for the high ground south-west of Pravorot, evicting the remnants of the 2nd Guards Tank Corps from the village of Belenikhino following house-to-house and hand-to-hand fighting. Das Reich's 2nd SS-Panzer Regiment fought off a series of counterattacks and forced the Red Army units to withdraw eastward to a new line. Zhukov ordered the 10th Guards Mechanized Brigade of the 5th Guards Mechanized Corps to reinforce the line. The 7th Panzer Division of the III Panzer Corps made contact with Das Reich, but Trufanov, commanding the Soviet forces in the gap, was aware of the threat and conducted a fighting withdrawal. The link-up failed to trap the Soviet forces, though they abandoned a substantial number of their anti-tank guns. Operation Roland failed to produce a decisive result for the German side, and Totenkopf began withdrawing from its positions north of the Psel, following orders issued late on 15 July, as the II SS-Panzer Corps assumed a defensive stance along its entire front. On 17 July the Soviet Southwestern and Southern Fronts launched a major offensive across the Mius and Donets Rivers against the southern wing of Army Group South, pressing upon the 6th Army and 1st Panzer Army. In the early afternoon of 17 July, Operation Roland was terminated with an order for the II SS-Panzer Corps to begin withdrawing from the Prokhorovka sector back to Belgorod. The 4th Panzer Army and Army Detachment Kempf anticipated the order and began executing it as early as the evening of 16 July. Leibstandarte's tanks were distributed between Das Reich and Totenkopf, and the division was hastily redeployed to Italy, while Das Reich and Totenkopf were dispatched south to meet the new Soviet offensives. Losses for 12 July are difficult to establish for either combatant. Tank losses attributed to the German side vary, in part due to the Wehrmacht's methodology for counting and reporting equipment losses. Only equipment that could not be repaired or that had to be abandoned were counted as losses, but damaged equipment that could be recovered and repaired were simply listed as such. Likewise, reliable figures for tank and personnel casualties for the Red Army in the Battle of Prokhorovka are difficult to establish. The II SS-Panzer Corps reported 842 soldiers killed, wounded, or missing for 12 July, and 2,672 for 12 to 16 July inclusive. 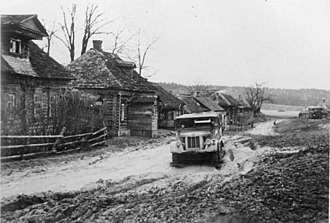 Since the German forces controlled much of the Prokhorovka battlefield until 17 July, they were able to recover most of their disabled armoured vehicles. The II SS-Panzer Corps' logistics report for 12 July did not record any confirmed permanent tank losses. Other German sources show that three tanks of the II SS-Panzer Corps (two Panzer IVs and a Tiger) that were immobilized in the battlefield could not be subsequently recovered and therefore the permanent losses can only be adjusted to a possible maximum of three tanks for 12 July. A study by the US Army's Center for Strategy and Force Evaluation attributed six permanent tank losses, not counting Panzer I and Panzer II light tanks or German assault guns if any. Archival files of the II SS-Panzer Corps and 4th Panzer Army show that the II SS-Panzer Corps permanently lost 17 tanks and assault guns from 12 to 23 July inclusive, which therefore represents the maximum permanent losses the unit could have incurred for the engagement on 12 July up till the end of Operation Roland. Archival data of the II SS-Panzer Corps shows that the corps had 294 operable tanks and assault guns on the evening of 11 July, and 251 on the evening of 13 July. Allowing for the possibility that some repaired tanks were returned to service on 13 July, these numbers indicate that at least 43 tanks and assault guns became inoperable during this period, which includes all ten Tigers belonging to Totenkopf and one belonging to Leibstandarte. An estimated total of 60–80 tanks and assault guns of the II SS-Panzer Corps were damaged or destroyed in combat on 12 July. By the end of 16 July, the II SS-Panzer Corps had 292 serviceable tanks and assault guns, almost the same number it had at the beginning of the battle on 12 July. On 12 July, Schlachtgeschwader 1 of the 8th Air Corps and its attached squadron of Stukas reported 11 aircraft damaged, all by Soviet anti-aircraft artillery, of which 6 were total write-offs. A document prepared on 17 July 1943 by the 5th Guards Tank Army headquarters summarised the combat losses incurred by the formation from 12 to 16 July inclusive for all of its five corps, as well as smaller units directly subordinated to the army headquarters. The document reported the following irrecoverable losses: 222 T-34s, 89 T-70s, 12 Churchills, 8 SU-122s, 3 SU-76s, and 240 support vehicles. The document reported damaged vehicles still under repair as 143 T-34s, 56 T-70s, 7 Churchills, 3 SU-122s, and 3 SU-76s, with no figures for support vehicles. The document reported personnel casualties as 2,940 killed in action, 3,510 wounded in action, and 1,157 missing in action. This totals 334 irrevocable losses in tanks and self-propelled guns, with another 212 tanks and self-propelled guns under repair, and 7,607 casualties. 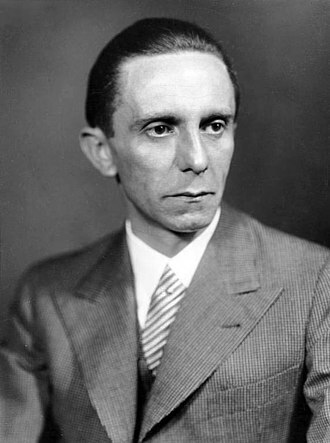 [m] The historian Karl-Heinz Frieser argued that the majority of the losses reported in the document must have occurred on 12 July. Soviet personnel losses at Prokhorovka for 12 July were estimated by the historian Christer Bergström to have been as high as 5,500 men. For equipment damaged or destroyed, David Glantz and Jonathan House estimate that the whole 5th Guards Tank Army lost at least 400 tanks in its attacks on 12 July. The Soviet historians Grigoriy Koltunov and Boris Soloviev estimate about 300 tanks and self-propelled guns of 5th Guards Tank Army were damaged or destroyed on 12 July. The study by the US Army's Center for Strategy and Force Evaluation reports that the 2nd Guards, 18th and 29th Tanks Corps altogether permanently lost 144 tanks on 12 July, not including self-propelled guns. 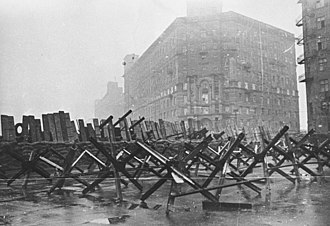 George Nipe estimates that 600–650 tanks of the 5th Guards Tank Army were damaged or destroyed while fighting both the II SS-Panzer Corps and III Panzer Corps on 12 July. Debate exists over the significance and outcome of the battle. The German forces destroyed many Soviet tanks and temporarily degraded the striking power of the 5th Guards Tank Army, but they were unable to take Prokhorovka or break through into open ground before developments elsewhere forced the termination of Operation Citadel. For the Soviet side, the massive armoured attack of 12 July failed to destroy the II SS-Panzer Corps, but succeeded in exhausting the Germans and eventually contributed to checking their advance. Thus, neither the 5th Guards Tank Army nor the II SS-Panzer Corps accomplished their objectives for 12 July. While the battle is generally considered a tactical success for the German side due to the high numbers of Soviet tanks destroyed, in the wider perspective the Soviets successfully completed their defensive operation at Prokhorovka and created the conditions for their decisive counteroffensive, Operation Polkovodets Rumyantsev, just as planned. Ultimately there was no German breakthrough at Prokhorovka or elsewhere in the Kursk salient, becoming the first time in the Second World War that a major German offensive was halted before it could break through enemy defences and penetrate into their operational or strategic depths. With the end of Operation Citadel, the strategic initiative permanently swung over to the Soviet Union for the rest of the war. The battle has been widely described as the largest tank engagement or battle in military history, involving 1,200–1,500 tanks and sometimes up to 2,000, but this is incorrect as the battle did not involve that many tanks. The exaggerated figures originated from erroneous Soviet intelligence estimates of German armour reported during and after the battle, and subsequent postwar accounts that furthered this erroneous narrative. Some of these Soviet estimates reported figures as high as 800 German tanks and assault guns attacking Prokhorovka on 12 July. Comparing both Soviet and German archives, the total number of tanks and other heavy armoured fighting vehicles, like assault guns or self-propelled guns, deployed by the 5th Guards Tank Army and the II SS-Panzer Corps around Prokhorovka during the battle numbered only about 910. In fact, the II SS-Panzer Corps never had the number of tanks and assault guns attributed to it by Soviet estimates at any point during Operation Citadel; not even at the start when it fielded only 494. Even if the battle was broadened to include the III Panzer Corps and the portion of the 5th Guards Tank Army that faced it, the total number of tanks and other heavy armoured fighting vehicles comes out at a maximum of 1,299. In contrast, for example, the Battle of Brody during Operation Barbarossa involved over 2,000 tanks, up to 6,000 tanks over the duration of the battle, engaged in combat over a 70-kilometre front. Nonetheless, the Battle of Prokhorovka is still regarded as one of the largest tank battles in military history. The historians David Glantz and Jonathan House asserted that the original intention of the 4th Panzer Army command was to drive northwards, with its two panzer corps driving abreast, toward Oboyan and then Kursk; but that on 9 July, due to heavy Soviet resistance along the road to Oboyan, Hoth was forced to disastrously, although not knowing it at the time, alter his plan by ordering the II SS-Panzer Corps to swing from the northwesterly direction to the northeast toward Prokhorovka. Therefore, according to Glantz and House, the Battle of Prokhorova was not a result of original intention nor planned for, but was rather engendered by tactically flawed, late improvisations to the original German plan. This narrative has been disputed by the historian Steven Newton, who dedicated a section of his 2002 publication about Operation Citadel to refuting it. 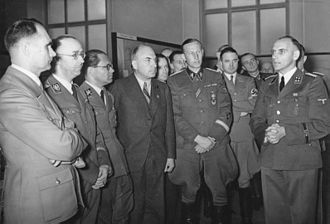 Using first-hand accounts of German officers that executed Operation Citadel and scrutinizing Glantz and House's sources, Newton contended that the plan for the 4th Panzer Army to swing from the Oboyan direction to Prokhorovka was decided as early as May 1943, well before Operation Citadel even commenced, as German planners of Army Group South had always expected an encounter between the 4th Panzer Army and Soviet reserves that would arrive at the Psel River and Prokhorovka. Other historians have corroborated these conclusions. Newton also asserts that this has always been the accepted narrative in post-war literature. 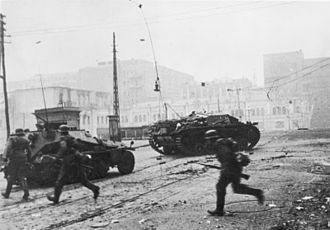 Some historians state that the German troops did not expect the Soviet armoured counterattack and were taken by surprise on 12 July. However other historians have stated or argued that the German commanders were aware of, or at least anticipated, the Soviet armour that was massing around Prokhorovka, and therefore the troops could not have been genuinely surprised. The German historian Dieter Brand argues that even though the German commanders expected a major Soviet armoured deployment at Prokhorovka, the frontline German troops were indeed largely taken by surprise when the Soviets counterattacked on the morning of 12 July. ^ a b Historians attribute varying periods between 9 and 17 July as the duration of the battle (Zamulin 2011, p. 516; Glantz & House 2004, p. 151; Zetterling & Frankson 2000, p. 107; Nipe 1998), but the main tank engagement occurred on 12 July. On 9 July, the order to attack Prokhorovka was issued to the II SS-Panzer Corps, and the attack toward the town began the following morning on 10 July (Glantz & House 2004, p. 146; Clark 2012, pp. 337, 341). And on 17 July, the II SS-Panzer Corps was ordered to suspend all action in the Prokhorovka area and begin withdrawing out of the Kursk salient back to Belgorod (Glantz & House 2004, p. 223; Zetterling & Frankson 2000, p. 98). ^ The 5th Guards Tank Army was transferred from the control of the Steppe Front to the Voronezh Front on 11 July (Glantz & House 2004, p. 327). All of its subordinate corps as of 12 July are listed below (Zetterling & Frankson 2000, p. 48); the divisions, regiments and battalions directly subordinate to the Army's Headquarters are not listed below (Glantz & House 2004, p. 327). ^ a b The 2nd Guards Tank Corps was initially not part of the 5th Guards Tank Army. It was transferred from the control of the 1st Tank Army to the 69th Army on 10 July, and then to the 5th Guards Tank Army on 11 July (Glantz & House 2004, p. 318). ^ a b The 2nd Tank Corps was initially not part of the 5th Guards Tank Army, but was transferred from the control of the Southwestern Front to the 5th Guards Tank Army on 11 July (Glantz & House 2004, p. 321). Due to earlier combat, by 12 July the 2nd Tank Corps had few tanks left, many of which were locked in combat elsewhere outside the battlefield of Prokhorovka and out of contact with their parent headquarters. Therefore it was reinforced with the 10th Antitank Brigade and relegated to a supportive role near Prokhorovka (Zetterling & Frankson 2000, p. 106; Glantz & House 2004, pp. 179,181). ^ a b Two of the 5th Guards Mechanized Corps' four brigades – the 10th, 11th and 12th Guards Mechanized Brigades, and the 24th Guards Tank Brigade – were sent south to block the III Panzer Corps, leaving only its 10th Guards Mechanized and 24th Guards Tank Brigades near Prokhorovka on 12 July (Clark 2012, p. 379; Zetterling & Frankson 2000, p. 101; Glantz & House 2004, p. 321). ^ The 33rd Guards Rifle Corps was part of the 5th Guards Army, which was transferred from the control of the Steppe Front to the Voronezh Front on 8 July (Glantz & House 2004, p. 323). Of the army's two corps, only this one was present on the battlefield of Prokhorovka (Glantz & House 2004, p. 167). The other corps – the 32nd Guards Rifle Corps – was deployed further west, in the battlefield near Oboyan (Clark 2012, p. 230). ^ The 10th Tank Corps was transferred from the control of 5th Guards Army to the Voronezh Front on 7 July, and to the 1st Tank Army on 8 July (Glantz & House 2004, p. 324). Only its 11th Motorized Rifle Brigade was in the battlefield of Prokhorovka on 12 July (Glantz & House 2004, p. 166,195,417). ^ The 23rd Guards Rifle Corps bore the brunt of the German offensive from the very first day. Its subordinate units present at the Battle of Prokhorovka were already depleted (Glantz & House 2004, pp. 94, 167). ^ a b See the "Opposing forces" section. ^ a b c See the "Casualties and losses" section. ^ a b See the "Misconceptions and disputations" section. ^ A Soviet General Staff report estimated that the II SS-Panzer Corps and III Panzer Corps together had 100 Tigers and Ferdinands on 12 July (Glantz & Orenstein 1999, p. 222). ^ These figures are simple summation of the detailed figures given in the preceding sentences. ^ Zetterling & Frankson 2000, p. 108, Excerpt reads: "If we take a look at how the front lines changed during these five days one could interpret it as some sort of success for the Germans ... However, if we compare the outcome with the German orders for the battle, which stated that Prokhorovka was the target, it is clear that the Germans fell short of their goals. The Red Army had hoped to push the II SS-Panzer Corps back and crush it. This failed completely, but at least the 5th Guards Tank Army prevented the Germans from taking Prokhorovka." ^ Zamulin 2011, p. 561, Excerpt reads: "The counterattack [at Prokhorovka] did not achieve its basic goal. The [II SS-Panzer Corps] was not routed, but the further advance of the II SS-Panzer Corps beyond Prokhorovka was finally halted." ^ Healy 2008, p. 347, Excerpt reads: "The clash was, when set against the much wider strategic backdrop of the offensive, no more than a local, tactical German victory. It was of no consequence or significance in helping to realise any of the wider offensive objectives of Operation Zitadelle, which was in any case by this date already a failure." ^ Clark 2012, p. 408, Excerpt reads: "Even though II SS-Panzer Corps could claim to have won a tactical victory in the monumental armoured clash at Prokhorovka ... Hausser's men did not do enough to change the course of the operation." ^ Showalter 2013, p. 269, Excerpt reads: "The Waffen-SS won a tactical victory on July 12." ^ Nipe 2012, p. 86, Excerpt reads: "The small expansion of the Psel bridgehead by Totenkopf and the advances of Das Reich around the southern edges of Prochorovka were tactical victories at best and not decisive by any definition." ^ Showalter 2013, p. 269, Excerpt reads: "Operationally, however, the palm rests with the Red Army." ^ Zamulin 2011, p. 553, Excerpt reads: "The main task of a defender is to repulse an enemy attack ... A decisive breakthrough is what von Manstein had planned for 12 July via a regrouping of his forces. The [II SS-Panzer Corps] did not achieve this goal. Thus in sum, the forces of the Voronezh Front won the engagement at Prokhorovka, and then successfully completed the defensive operation, having created the conditions for a decisive counteroffensive." ^ Glantz & House 2004, p. 272, Excerpt reads: "The numerous flank attacks orchestrated by the [Soviets] sapped the German strength, ..., permitted the timely arrival of Soviet operational and strategic reserves, and led directly to Soviet victory at Prokhorovka, in particular, and in Citadel as a whole." ^ Clark 2012, p. 189. ^ Healy 2008, p. 43. ^ Glantz & House 2004, pp. 23–25. ^ Clark 2012, p. 187. ^ Glantz 1986, pp. 25. ^ Clark 2012, pp. 194,196–197. ^ Glantz & House 2004, p. 55. ^ Clark 2012, p. 192. ^ Clark 2012, pp. 188–192. ^ Glantz & House 2004, pp. 63–65. ^ Glantz & Orenstein 1999, pp. 41, 49. ^ Glantz & House 2004, pp. 60–63. ^ Glantz & House 2004, pp. 3–4. ^ Clark 2012, p. 407. ^ Glantz & House 2004, pp. 269–272. ^ Clark 2012, p. 239. ^ Zamulin 2011, p. 98. ^ Glantz & House 2004, p. 112. ^ Zamulin 2011, pp. 89–90. ^ Glantz & House 2004, p. 123. ^ Zamulin 2011, p. 112. ^ Clark 2012, pp. 256–260. ^ Clark 2012, pp. 407, 256–260. ^ Glantz & House 2004, p. 138–139. ^ Healy 2008, p. 296, gives 390 km. ^ Glantz & Orenstein 1999, p. 228, gives 320 km. ^ Glantz & House 2004, pp. 166–167. ^ Zamulin 2011, pp. 166,168. ^ Glantz & House 2004, pp. 133–135. ^ Glantz & House 2004, pp. 134–135. ^ Clark 2012, pp. 297–299. ^ Bauman 1998, pp. 8.5–8.6, this places it at 23 km. ^ a b c Clark 2012, pp. 322–323. ^ Glantz & House 2004, p. 146. ^ Newton 2002, p. 76; Zamulin 2011, pp. 29–33. ^ Zamulin 2011, pp. 29–33. ^ Clark 2012, p. 337. ^ Zamulin 2011, pp. 258–260. ^ Zamulin 2011, pp. 261–262. ^ a b Glantz & House 2004, p. 164. ^ Glantz & House 2004, pp. 164–165. ^ Clark 2012, p. 343. ^ Zetterling & Frankson 2000, p. 95. ^ Clark 2012, p. 352. ^ Glantz & House 2004, p. 166. ^ a b c Nipe 2010, p. 315. ^ a b Dunn 1997, p. 153. ^ a b Clark 2012, pp. 352–353. ^ Clark 2012, pp. 350. ^ Glantz & House 1999, p. 176. ^ Clark 2012, p. 356. ^ Zamulin 2011, pp. 284, 320. ^ a b c d Nipe 2010, p. 310. ^ a b c Glantz & House 2004, p. 178. ^ Bergström 2007, p. 79. ^ Glantz & House 2004, pp. 323, 326. ^ Glantz & House 2004, pp. 178, 198. ^ Glantz & House 2004, p. 227. ^ Glantz & House 2004, p. 179. ^ a b c d Clark 2012, p. 364. ^ a b c Zetterling & Frankson 2000, p. 103. ^ a b Dunn 1997, p. 154. ^ Glantz & House 2004, p. 196–197, photo caption in picture pages. ^ a b c Bergström 2007, pp. 78–81. ^ Glantz & House 2004, pp. 317,321. ^ Zamulin 2011, p. 236. ^ Glantz & House 2004, pp. 198–200. ^ Glantz & House 2004, p. 202; Brand 2003; Nipe 2010, p. 315. ^ a b c Glantz & House 2004, p. 202. ^ a b c d e f g Brand 2003. ^ Nipe 2010, p. 309. ^ a b c d Nipe 2010, p. 326. ^ a b c Glantz & House 2004, p. 287, information on the specific names of the units. ^ Healy 2008, p. 320. ^ a b Clark 2012, p. 368. ^ Healy 2008, p. 333. ^ Zetterling & Frankson 2000, pp. 48, 101. ^ Glantz & House 2004, p. 151. ^ Zetterling & Frankson 2000, pp. 48, 105–106, reports 793 tanks and 57 self-propelled guns. ^ Glantz & House 2004, pp. 151, 328, reports 793 tanks and 37 self-propelled guns. ^ Nipe 2012, p. 39, reports 850 tanks. ^ Healy 2008, pp. 171–172, reports 35 Churchill tanks. ^ Glantz & House 2004, p. 328, reports 31 Churchill tanks. ^ a b c d Zetterling & Frankson 2000, pp. 106–107. ^ Clark 2012, p. 362. ^ a b c Glantz & House 2004, p. 181. ^ a b c d e Glantz & House 2004, p. 180. ^ a b c d e Zetterling & Frankson 2000, p. 107. ^ Glantz & House 2004, p. 193. ^ Glantz & House 2004, pp. 180–181. ^ a b Glantz & House 2004, p. 192. ^ Zetterling & Frankson 2000, p. 96. ^ a b Glantz & House 2004, p. 184. ^ Clark 2012, p. 378. ^ Glantz & House 2004, p. 182. ^ a b Zamulin 2011, p. 349. ^ Glantz & House 2004, p. 188, in Moscow time. ^ a b c Glantz & House 2004, p. 188. ^ a b Bergström 2007, pp. 79–80. ^ Nipe 2010, p. 317. ^ Showalter 2013, p. 203. ^ a b c Nipe 2010, p. 320. ^ Clark 2012, p. 351, information on Joachim Peiper's rank and panzer unit. ^ a b Glantz & House 2004, p. 185. ^ Clark 2012, p. 366. ^ a b Glantz & House 2004, p. 190. ^ Nipe 2010, pp. 332–333. ^ Nipe 2010, pp. 329–330. ^ Nipe 2010, pp. 330–331. ^ a b c d e Nipe 1998. ^ Glantz & House 2004, pp. 188–189. ^ Glantz & House 2004, p. 189. ^ Zamulin 2011, p. 341. ^ Nipe 2010, p. 321. ^ Nipe 2010, p. 322. ^ Glantz & House 2004, p. 191. ^ Bergström 2007, pp. 79–81. ^ Bergström 2007, p. 80. ^ a b c d e Bergström 2007, p. 81. ^ Showalter 2013, p. 212. ^ Nipe 2010, p. 335. ^ Showalter 2013, p. 216. ^ Clark 2012, pp. 388–389. ^ Clark 2012, pp. 381, 389. ^ Nipe 2012, pp. 48, 52. ^ a b Zetterling & Frankson 2000, p. 102. ^ Glantz & Orenstein 1999, p. 226. ^ Clark 2012, pp. 390–391. ^ Clark 2012, pp. 391–392. ^ Glantz & House 2004, p. 213–214. ^ Glantz & House 2004, p. 212. ^ a b Clark 2012, p. 390. ^ Zamulin 2012, p. 643. ^ a b c Glantz & House 2004, p. 208. ^ a b Glantz & House 2004, pp. 209–210. ^ Glantz & House 2004, pp. 209, 216. ^ Glantz & House 2004, pp. 212–214. ^ Glantz & House 2004, pp. 214–215. ^ Glantz & House 2004, pp. 214. ^ a b Glantz & House 2004, p. 215. ^ a b Clark 2012, p. 394. ^ Molony et al. 2004, pp. 55–65. ^ a b Clark 2012, p. 397. ^ Nipe 2012, p. 71; Barbier 2002, p. 153; Clark 2012, pp. 395–397. ^ Clark 2012, pp. 395–397. ^ a b c Glantz & House 2004, pp. 217–218. ^ a b c d Clark 2012, pp. 397–398. ^ a b Healy 2010, p. 358. ^ Glantz & House 2004, p. 218. ^ a b Glantz & House 2004, p. 219. ^ Barbier 2002, p. 163. ^ Healy 2010, p. 356. ^ Clark 2012, pp. 398. ^ Healy 2010, p. 359. ^ Clark 2012, p. 401. ^ a b Zetterling & Frankson 2000, p. 98. ^ Nipe 2012, p. 70. ^ Glantz & House 2004, pp. 204, 223. ^ Newton 2002, p. 24. ^ Glantz & House 2004, p. 223. ^ Zamulin 2011, pp. 514–515. ^ Barbier 2002, p. 164. ^ Zetterling & Frankson 2000, pp. 139, 218. ^ Nipe 2012, p. 87. ^ Zamulin 2011, pp. 531–532, outlines various figures proposed by various historians since the 1970s. ^ a b Zamulin 2011, pp. 531–532. ^ Bauman 1998, p. 5.14. ^ a b c Zetterling & Frankson 2000, p. 108. ^ Zetterling & Frankson 2000, pp. 105, 110, 247. ^ a b c Frieser 2017, p. 129. ^ a b Bauman 1998, pp. 5.1–5.4, 8.5–8.6. ^ Healy 2010, p. 346. ^ Glantz & House 1999, p. 212. ^ Nipe 2012, pp. 60–61. ^ Zetterling & Frankson 2000, pp. 103, 105. ^ a b c d Zamulin 2011, pp. 536–538. ^ Frieser 2017, p. 130. ^ Nipe 2012, pp. 85–86. ^ Overy 1997, p. 208. ^ a b Zetterling & Frankson 2000, pp. 108–109. ^ Zamulin 2011, pp. 553, 561. ^ Clark 2012, p. 408; Nipe 2012, p. 86. ^ Zamulin 2011, p. 553. ^ Glantz & House 2004, pp. 272, 280. ^ Glantz & House 1995, p. 166. ^ Zetterling & Frankson 2000, p. 101; Glantz & House 2004, p. 51; Stein & Fairbank 2007, p. 209; Schranck 2013, p. 349; Zamulin 2012, p. 583. ^ a b Zamulin 2012. ^ Clark 2012, p. 247. ^ Glantz 2012, p. 43, mentions over 2000 tanks. ^ Zamulin 2011, p. 535, mentions 6,000 tanks over the duration of the battle. ^ Glantz & Orenstein 1999, p. 228. ^ Glantz & House 2004, pp. 138–147. ^ Glantz & House 1999, pp. 138–147. ^ Glantz & House 2004, pp. 146–147. ^ a b Newton 2002, pp. 357–369. ^ Clark 2012, pp. 336–337; Zamulin 2012, pp. 29–33; Schranck 2013, p. 143. ^ Newton 2002, pp. 359. ^ Stein & Fairbank 2007, p. 210; Zamulin 2012, p. 174. ^ Zamulin 2012, pp. 173–174. ^ Nipe 2012, p. 39–40. Barbier, Mary Kathryn (2002). Kursk: The Greatest Tank Battle, 1943. St. Paul, MN, USA: MBI Publishing Company. ISBN 978-0-7603-1254-4. Bauman, Walter (1998). Kursk Operation Simulation and Validation Exercise – Phase II (KOSAVE II) (Report). Bethesda, MD, USA: US Army Concepts Analysis Agency. Archived from the original (PDF) on 20 June 2013. — A study of the southern sector of the Battle of Kursk conducted by the US Army Concepts Analysis Agency (under the US Army's Center for Strategy and Force Evaluation) and directed by Walter J. Bauman, using data collected from military archives in Germany and Russia by The Dupuy Institute (TDI). Bergström, Christer (2007). Kursk — The Air Battle: July 1943. Hersham, UK: Chevron/Ian Allan. ISBN 978-1-903223-88-8. Brand, Dieter (2003). 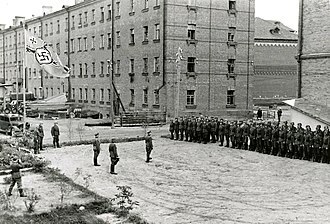 Vor 60 Jahren: Prochorowka (Teil II) [60 years ago: Prokhorovka (Part II)]. Österreichische Militärische Zeitschrift (in German). Bundesministerium für Landesverteidigung und Sport (6). Archived from the original on 1 November 2014. Clark, Lloyd (2012). Kursk: The Greatest Battle: Eastern Front 1943. London, UK: Headline Publishing Group. ISBN 978-0-7553-3639-5. Dunn, Walter (1997). Kursk: Hitler's Gamble, 1943. Westport, CT, USA: Greenwood Press. ISBN 978-0-275-95733-9. Frieser, Karl-Heinz (2017). The Eastern Front 1943–1944: The War in the East and on the Neighbouring Fronts. 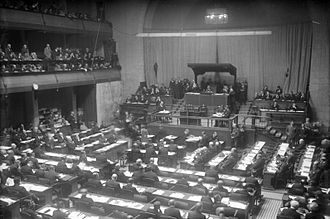 Germany and the Second World War. VIII. Oxford, UK: Oxford University Press. ISBN 978-0-19-103514-2. Glantz, David M. (September 1986). 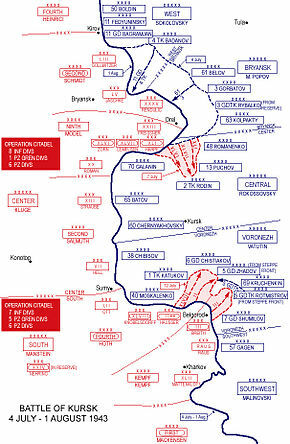 "Soviet Defensive Tactics at Kursk, July 1943" (PDF). US Army Command and General Staff College. Ft. Belvoir, VA, USA. Soviet Army Studies Office Combined Arms Center Combat Studies Institute (CSI Report No. 11). OCLC 320412485. Archived from the original (PDF) on 18 May 2015. Glantz, David M.; House, Jonathan (1995). When Titans Clashed: How the Red Army Stopped Hitler. Lawrence, KS, USA: University Press of Kansas. ISBN 978-0-7006-0899-7. Glantz, David M.; House, Jonathan M. (1999). The Battle of Kursk. Lawrence, KS, USA: University Press of Kansas. ISBN 978-0-7006-0978-9. Glantz, David M.; House, Jonathan M. (2004) . The Battle of Kursk. Lawrence, KS, USA: University Press of Kansas. ISBN 978-0-7006-1335-9. Glantz, David (2013). Soviet Military Intelligence in War. Hoboken, NJ, USA: Taylor & Francis (Routledge). ISBN 978-1-136-28934-7. Glantz, David (2012). 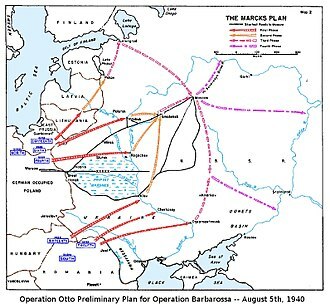 Operation Barbarossa: Hitler's invasion of Russia 1941. Gloucestershire, UK: The History Press. ISBN 978-0-7524-6070-3. Healy, Mark (2008). Zitadelle: The German Offensive Against the Kursk Salient 4–17 July 1943. Stroud, UK: The History Press. ISBN 978-1-85532-211-0. Healy, Mark (2010) . Zitadelle: The German Offensive Against the Kursk Salient 4–17 July 1943. Stroud, UK: The History Press. ISBN 978-0-7524-5716-1. Molony, C.J.C. ; Flynn, F.C. ; Davies, H.L. & Gleave, T.P. (2004) . Butler, Sir James, ed. 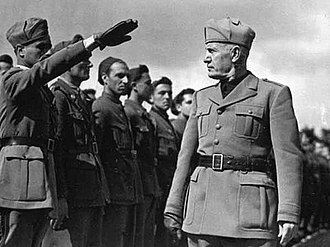 The Mediterranean and Middle East, Volume V: The Campaign in Sicily 1943 and The Campaign in Italy 3 September 1943 to 31 March 1944. History of the Second World War, United Kingdom Military Series. London, UK: Naval & Military Press. ISBN 1-84574-069-6. Newton, Steven (2002). Kursk: The German View: Eyewitness Reports of Operation Citadel by the German Commanders. Cambridge, MA, USA: Da Capo Press. ISBN 0-306-81150-2. Nipe, George (2010). Blood, Steel, and Myth: The II.SS-Panzer-Korps and the Road to Prochorowka. Stamford, CT, USA: RZM Publishing. ISBN 978-0-9748389-4-6. Nipe, George (2012). Decision in the Ukraine: German Panzer Operations on the Eastern Front, Summer 1943. Mechanicsburg, PA, USA: Stackpole Books. ISBN 978-0-8117-1162-3. Overy, Richard (1997). Russia's War: A History of the Soviet Effort. New York City, NY, USA: Penguin Books. ISBN 0-14-027169-4. Showalter, Dennis E. (2013). Armor and Blood: The Battle of Kursk, The Turning Point of World War II. New York City, NY, USA: Random House. ISBN 978-0-8129-9465-0. Stein, Marcel; Fairbank, Gwyneth (2007). Field Marshal Von Manstein: The Janus Head. Solihull, UK: Helion & Company. ISBN 978-1-906033-02-6. Schranck, David (2013). Thunder at Prokhorovka: A Combat History of Operation Citadel, Kursk, July 1943. Solihull, UK: Helion & Company. ISBN 978-1-909384-54-5. Zamulin, Valeriy (2011). Demolishing the Myth: The Tank Battle at Prokhorovka, Kursk, July 1943: An Operational Narrative. Edited and translated from Russian to English by Stuart Britton. Solihull, UK: Helion & Company. ISBN 1-906033-89-7. Zamulin, Valeriy (2012). 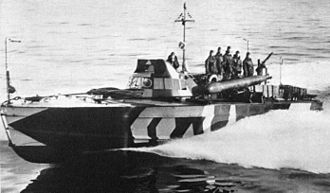 "Prokhorovka: The Origins and Evolution of a Myth". The Journal of Slavic Military Studies. 25 (4): 582. doi:10.1080/13518046.2012.730391. Zetterling, Niklas; Frankson, Anders (2000). Kursk 1943: A Statistical Analysis. Cass Series on the Soviet (Russian) Study of War. London, UK: Taylor & Francis (Frank Cass). ISBN 0-7146-5052-8. Bellamy, Chris (2007). Absolute War: Soviet Russia in the Second World War. London: Pan. ISBN 978-0-330-48808-2. Citino, Robert M. (2012). The Wehrmacht Retreats: Fighting a Lost War, 1943. Lawrence, KS: University Press of Kansas. ISBN 978-0-7006-1826-2. Evans, Richard (2010). The Third Reich at War. New York: Penguin Books. ISBN 978-0-14-311671-4. Glantz, David (January 1991). Soviet Operational Art: In Pursuit of Deep Battle. London; Portland, OR: Taylor & Francis (Frank Cass). ISBN 0-7146-4077-8. Glantz, David (December 1991). From the Don to the Dnepr: Soviet Offensive Operations, December 1942 – August 1943. London: Taylor & Francis (Frank Cass). ISBN 978-0-7146-3350-3. Pinkus, Oscar (2005). The War Aims and Strategies of Adolf Hitler. Jefferson, N.C: McFarland. ISBN 978-0-7864-2054-4. "Prokhorovka battle (July 1943)" [Прохоровское сражение (июль 1943)] (in Russian). 1998. Archived from the original on 15 July 2015. Retrieved 17 July 2015. "Maps of the Battle of Prokhorovka, July 1943". Archived from the original on 5 January 2014. Retrieved 17 July 2015. "Review of Kursk 1943: A Statistical Analysis". Archived from the original on 30 April 2015. Retrieved 17 July 2015. Wilson, Alan. "Kursk and Prokhorovka, July 1943 (maps)". Archived from the original on 20 April 2012. Retrieved 19 June 2013. Licari, Michael J. (2004). "The Battle of Kursk: Myths and Reality". Archived from the original on 8 July 2013. Retrieved 1 November 2014. "Strengths and Losses". Retrieved 12 August 2017. 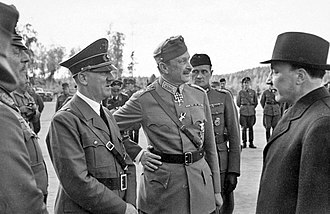 Hermann Hoth was a German army commander and war criminal during World War II. He fought in the Battle of France and as a commander on the Eastern Front. Hoth commanded the 3rd Panzer Group during Operation Barbarossa in 1941, following the encirclement of the 6th Army in the Battle of Stalingrad in November 1942, Hoths panzer army unsuccessfully attempted to relieve it during Operation Winter Storm. After Stalingrad, Hoth was involved in the Third Battle of Kharkov, the Battle of Kursk in the summer of 1943, Hoth implemented the criminal Commissar Order during the invasion of the Soviet Union. After the war, Hoth was convicted of war crimes and crimes against humanity in the High Command trial and he was released on parole in 1954. Born in 1885, Hoth joined the army in 1903 and was awarded both classes of the Iron Cross during World War I and he remained in the Reichswehr in the interwar period. 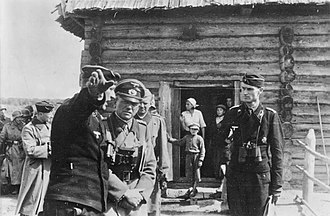 Following the reorganization of the German military into the Wehrmacht in 1935, Hoth was promoted to Lieutenant-General and given command of the XV Motorised Corps in 1938, leading it in the invasion of Poland the following year. During the invasion of France in May 1940, his corps was on Guderians right flank during their advance through the Ardennes. Hoth was promoted to Generaloberst in July 1940, in Operation Barbarossa in 1941, Hoth commanded the 3rd Panzer Group which captured Minsk and Vitebsk as part of Army Group Centers operations. In mid July, the 3rd Panzer Group was subordinated to Army Group North to shore up the flanks, the divisions attack ran into fortified Soviet lines and was repulsed with the loss of 30 tanks. As all German armies on the Eastern Front, Hoths Panzer Group implemented the criminal Commissar Order, according to reports from the subordinate units, the order was carried out on a widespread basis. In October Hoth was appointed commander of the 17th Army in Ukraine, Hoth was an active supporter of the war of annihilation against the Soviet Union. He called upon his men to understand the need for punishment of Jewry. These circles are the supports of Bolshevism, the bearers of its murderous organisation. The 2nd SS Panzer Division Das Reich was a division of the Nazi Waffen-SS during World War II. It was one of the thirty-eight divisions fielded by the Waffen-SS and it was transferred to the West and took part in the fighting in Normandy and the Battle of the Bulge, ending the war in Hungary and Austria. 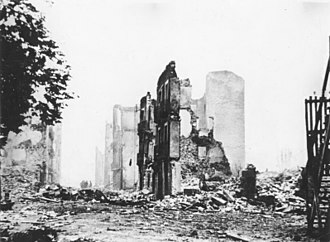 Das Reich committed the Oradour-sur-Glane and Tulle massacres, in August 1939 Adolf Hitler placed the Leibstandarte SS Adolf Hitler and the SS-Verfügungstruppe under the operational command of the OKH. 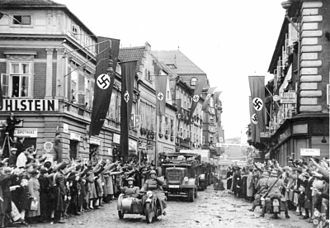 Events during the Invasion of Poland raised doubts over the effectiveness of the SS-VT. Himmler insisted that the SS-VT should be allowed to fight in its own formations under its own commanders, Hitler was unwilling to upset either the army or Himmler, and chose a third path. He ordered that the SS-VT form its own divisions but that the divisions would be under army command, in October 1939 the SS-Verfügungstruppe regiments, Deutschland and Der Führer, were organized into the SS-Verfügungs-Division with Paul Hausser as commander. Thereafter, the SS-VT and the LSSAH took part in training while under army commands in preparation for Operation Fall Gelb against the Low Countries. 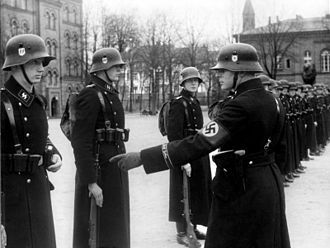 Der Führer Regiment and LSSAH participated in the invasion of the Netherlands which began on 10 May. 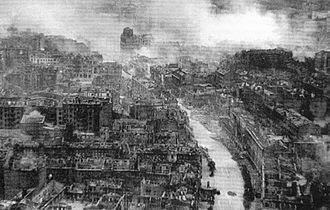 On the following day the rest of the SS-VT Division crossed into the Netherlands, participating in the drive for the Dutch central front and Rotterdam, after the fighting in the Netherlands ended, the SS-VT Division was ordered to make for France. A patrol from the SS-VT Division crossed the canal at Saint-Venant, a larger force from the SS-VT Division crossed the canal and formed a bridgehead at Saint-Venant,30 miles from Dunkirk. On the following day, British forces attacked Saint-Venant, forcing the SS-VT Division to retreat, on 26 May the German advance resumed. On 27 May the Deutschland regiment of the SS-VT Division reached the defensive line on the Leie River at Merville. They forced a bridgehead across the river and waited for the SS Division Totenkopf to arrive to cover their flank, what arrived first was a unit of British tanks, which penetrated their position. The British AS-90 self-propelled guns are examples of modern tracked self-propelled guns. SPGs do not have to be necessarily tracked or armoured: the CAESAR howitzer, shown in the photo, is based on a 6×6 truck chassis. World War II Soviet ISU-152. A modern Chinese PLZ-45 self-propelled howitzer built for export. Decommissioned Syrian Army StuG III assault gun with 75mm main armament. This example now resides at the Israeli Armored Corps Museum. A preserved Sherman M4 (105).